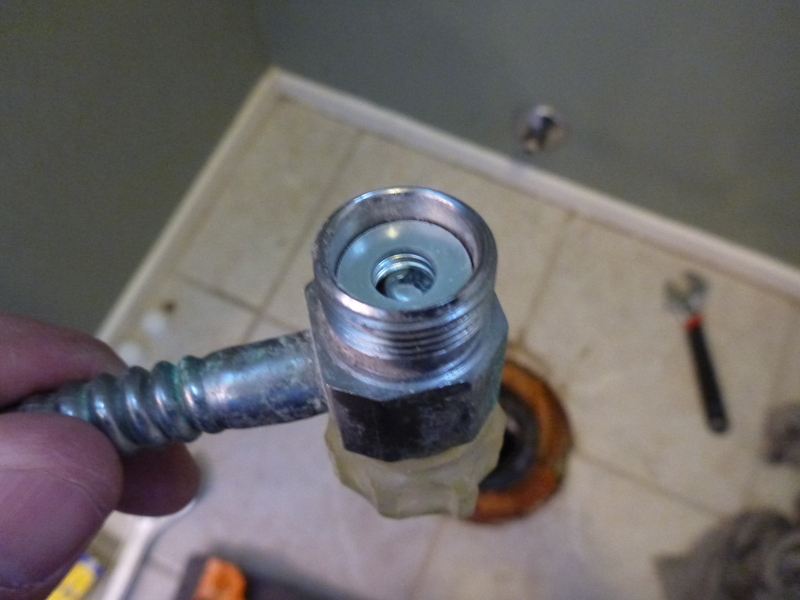 It ends up 1/4″ washers fit perfectly inside the old valve. I put enough in so that the end of the pipe will push against washer and the nut will pull on the stuck ferrule. Tighten the nut until the ferrule hits the valve, take the valve back off, add another washer, and repeat until the compression ring is almost off the end of the pipe. Now a gentle twist and pull should take the ferrule off. 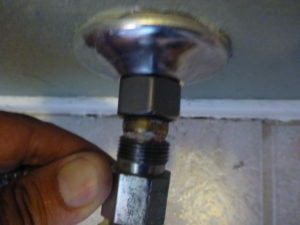 Clean up the pipe with some sandpaper, and you should be ready to put on the new valve. 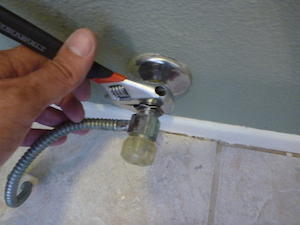 Not a bad trick for a DIY plumber to know about. 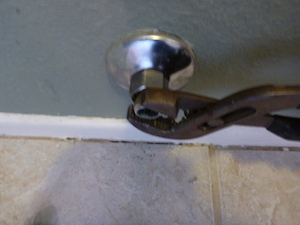 This entry was posted in Uncategorized and tagged Ferrule, Frozen, Plumbing, Remove, Trick. Bookmark the permalink.